Mahindra’s numero uno SUV Bolero is offering discounts on the price for the current Diwali 2014 Festive season with the starting price of just INR 5.90 Lac Ex-Showroom. 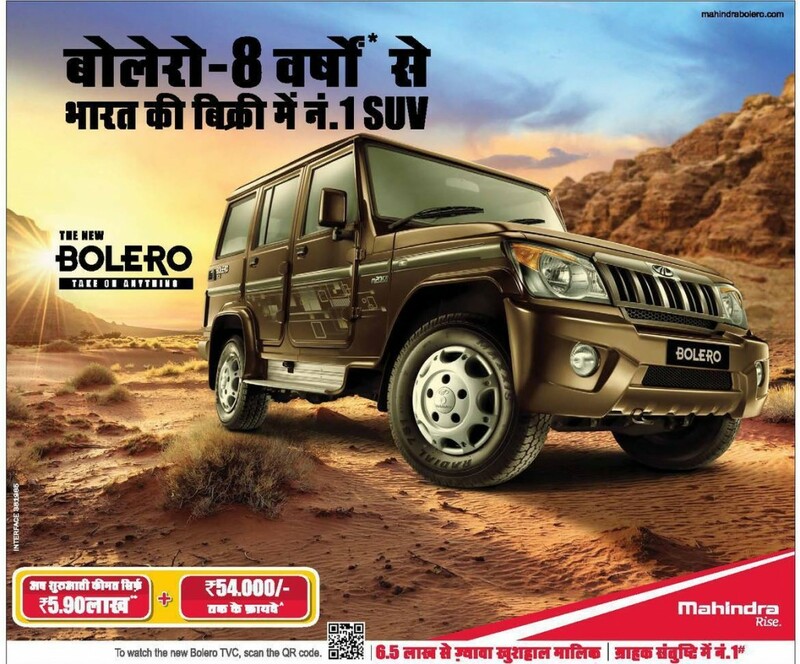 Along with this mouth-watering price of the car, there would be an additional discount of INR 54,000 as well. The Tata is also offering discount on its passenger cars and commercial vehicles as well, So I guess, it’s the best time to buy a Tata car, if you’re willing to.